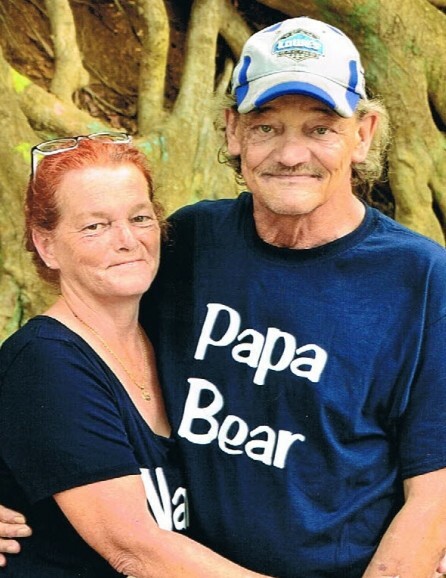 Nathan Dewhitt Powell, 60, husband of Kathy Powell Thompson of 509 Lewis Dr., died Monday, February 11, 2019 at Rainey Hospice House. Born in Greenville County, he was the son of the late Gordon Monroe Powell, Sr. and Betty Sue Waters Mattison. Surviving in addition to his wife of the home are: son, Gene Powell (Lisa) of Belton; daughters, Christina Ricks of Myrtle Beach, Tiffany Marcus (Tim) of Taylors, Renee Powell (Ryan) of Spartanburg, Manda Nichols (Danny) and Jessica Nichols (Brandon) all of Belton, and Kayla Nichols of Greenville; brother, Monroe Powell of Belton; sisters, Margaret Ashley (Bill) of Belton, Annette Carver and Regina Wilson both of Williamston; uncle, Roy Waters (Joanne) of Williamston; grandchildren, Christopher, Britney, Ansleigh, Mallory, Devon, Jasmine, Natalie, Marissa, Megan, Jennifer, Aaliyah, Star, Kayden and Dixie; great grandchildren, Kyliee and Teanna. He was preceded in death by his sister, Cathy Darlene Powell Altemeyer and stepfather, Ed Maness. Graveside service will be held 2pm Tuesday at Garden of Memories Cemetery, with Rev. Terry Knipe officiating. The family will receive friends prior to the service Tuesday from 11:30am until 1:30pm at Cox Funeral Home. The family will be at the home of Roy and Joanne Waters at 207 Gray Dr., Williamston, SC 29697.